Kicking off the home stretch of holiday shopping and a full week of guest Stockings is Rachel from The Redhead Fashionista! 1. 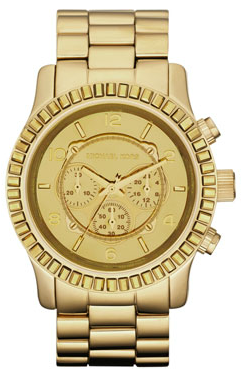 Michael Kors Dip-Dyed Classic Oversized Runway Watch: My friends and family know I love all things Michael Kors, especially his watches. And well, I just can't resist adding a new watch to my collection. 2. Barton Necklace by Flutter: When I saw this necklace on Jamie King's Hart of Dixie character, Lemon Breeland, I knew I needed to have it! 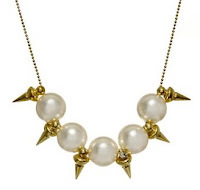 Pearls and spikes might not seem like a likely pair, but they look great together in this necklace! 3. 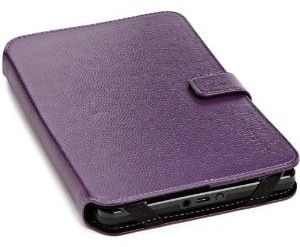 Belkin Verve Tab Folio: This will be perfect for carrying my new Kindle Fire. And the purple leather will make it look extra nice! 4. 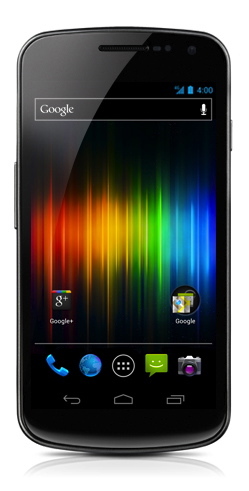 Samsung Galaxy Nexus: I cannot wait to get my hand's on the Samsung Galaxy Nexus. It's running the latest Android software, has Face Unlock, and so many other awesome features. Who wouldn't want to play with this phone?! 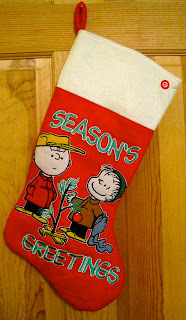 What an adorable stocking- thanks, Rachel! She has a great stocking! Many things iwould love to see. ooh the kindle fire, sounds pretty amazing, shame I already have one! Can I get that necklace in my stocking too please? Thanks Santa! I love that necklace! Very delicate but tough at the same time. Adorable. OMG must have that watch!! Its GORGEOUS! !